WELLINGTON, New Zealand -- The man accused of carrying out the Christchurch mosque attacks will face 50 murder charges and 39 attempted murder charges when he makes his second court appearance, New Zealand police said Thursday. Police had earlier filed a single, representative murder charge against 28-year-old Australian Brenton Harrison Tarrant. He is due to appear via video link during a brief hearing on Friday, and won't be required to enter a plea. Fifty people died in the March 15 attacks on two mosques and another 50 were injured. Police said in a brief statement that they were considering filing more charges against Tarrant but couldn't comment further as the case was before the court. Tarrant's first appearance was on the day after the attacks in the Christchurch District Court. His case has now been moved to the High Court due to the seriousness of the charges. Tarrant has reportedly been moved to a high-security prison in Auckland, which is why he'll appear via video link. During the scheduled court hearing, media photographs won't be allowed and reporting on the proceedings will be severely restricted under New Zealand law. The intent of the law is to avoid the possibility the reporting and images would taint the views of potential jurors before they hear evidence in court. Judge Cameron Mander said in a note that the brief hearing will mainly be about the accused gunman's legal representation. Tarrant earlier dismissed lawyer Richard Peters, who was assigned to represent him during his district court appearance. Peters said Tarrant told him that he wants to represent himself. Many worry that Tarrant will try to use his trial as a soapbox to push his white supremacist views. The judge said he had received applications from 25 media organizations to take film, photographs or audio recordings of Friday's hearing but had denied all of them. He said reporters could remain throughout and take notes, although would be restricted in what they could report. He said media could still use pixelated images of Tarrant which the district court judge had allowed. The pixilation obscured his face. Retired law professor Bill Hodge said the idea behind obscuring his image was that the prosecution might need a witness to be sure he saw the gunman at the mosque rather than recognizing him from media stories. Hodge said New Zealand and Australia were trying to preserve the ancient common-law approach to a fair trial, but that it seemed quaint in an era where people could easily find more information or images on the internet. New Zealand's Department of Corrections said in an email they wouldn't answer questions such as where Tarrant was being held due to operational security reasons. They said that despite some restrictions, he was being managed in accordance with New Zealand and international laws regarding the treatment of prisoners. "At this time, he has no access to television, radio or newspapers and no approved visitors," the department said. MANCHESTER: Manchester United manager Ole Gunnar Solskjaer has demanded a strong reaction from his team, stunned by their 4-0 loss to Everton, when they face title-chasing Manchester City in Wednesday’s Premier League derby at Old Trafford. 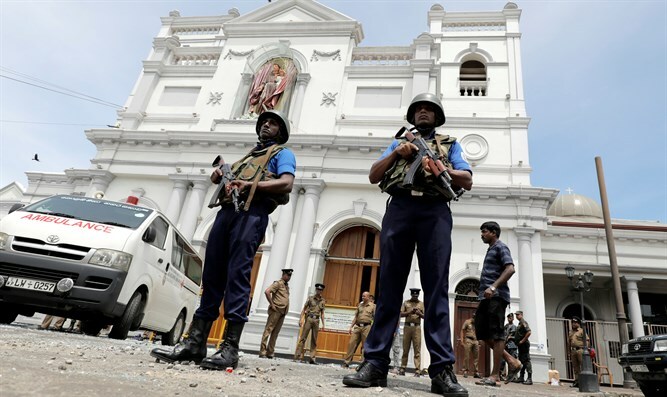 CAIRO: Islamic State has claimed responsibility for coordinated bombings in Sri Lanka which killed 321 people and injured about 500 others, the group’s AMAQ news agency said on Tuesday. WASHINGTON, April 17: Satellite images from last week show movement at North Korea’s main nuclear site that could be associated with the reprocessing of radioactive material into bomb fuel, a U.S. think tank said on Tuesday. Kathmandu, Nepal, April 17, 2019: The Ncell and Axiata have to pay Rs. 62.63 billion to the Nepal government within a week.